Delight her at every meal with our full line of thoughtfully prepared, delicious gourmet entrees and savory Broths. We believe you do the best for those you love the most, which is why each and every Fancy Feast product is made with love and attention to detail. Every delicious Fancy Feast selection is made with high-quality protein sources and ingredients - from select Medleys recipes with real garden greens and long grain rice, to Purely Fancy Feast entrees with natural ingredients, plus vitamins and minerals. Savory beef, seafood, chicken and turkey-flavored morsels, lightly cooked and basted to a delicately crunchy finish. 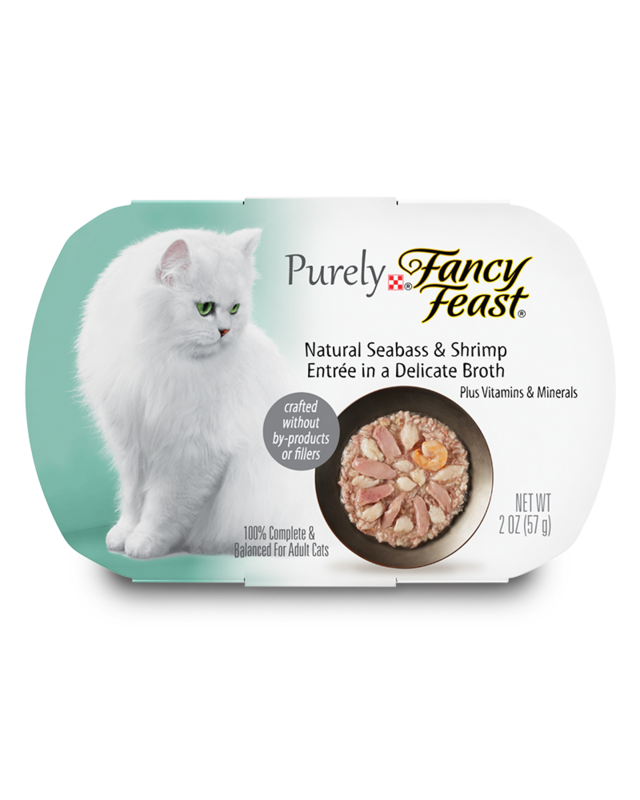 Real seafood, chicken or beef served in a delicate broth as a complete and balanced meal with vitamins and minerals and never prepared with by-products or fillers. Lickable, loveable bowls of goodness that your cat will love lapping up! Choose from a silky classic broth, or a velvety broth with a touch of milk. Each recipe is made with tender bites of real seafood and no by-products or fillers. Serve as a complement your cat’s regular feeding routine. 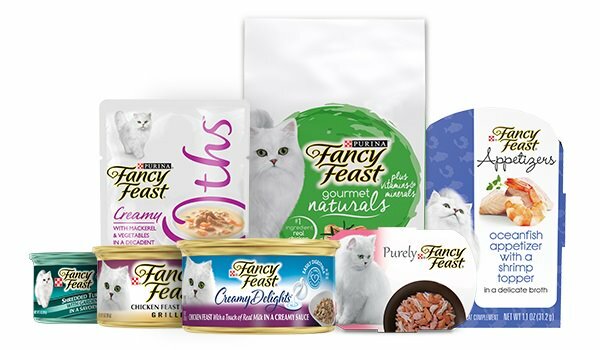 Fancy Feast Medleys brings together expertly prepared, inspired combinations to create flavorful recipes your cat will love. Fancy Feast now offers treats! 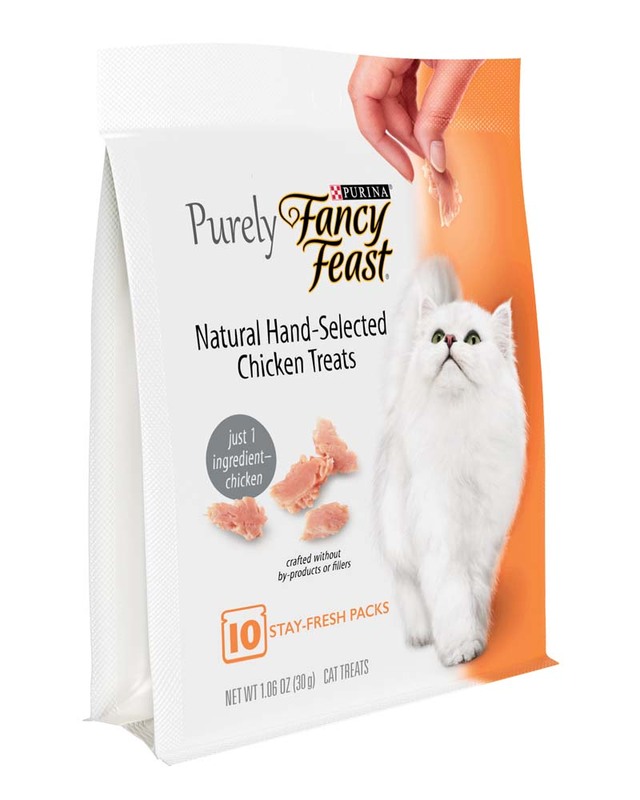 Purely Fancy Feast Treats are individually wrapped morsels of moist chicken, tuna or salmon. Duos are baked, crunchy treats with tender, savory centers of seafood or rotisserie chicken. More than 80 varieties of delicious entrées made with beef, chicken, seafood and more. Lightly cooked for a perfectly tender texture, then pieced into flavorful little bites. Purely tender bites of natural Tongol Tuna, served in a delicate broth. Complete and balanced with vitamins and minerals for adult cats. Never any by-products or fillers. 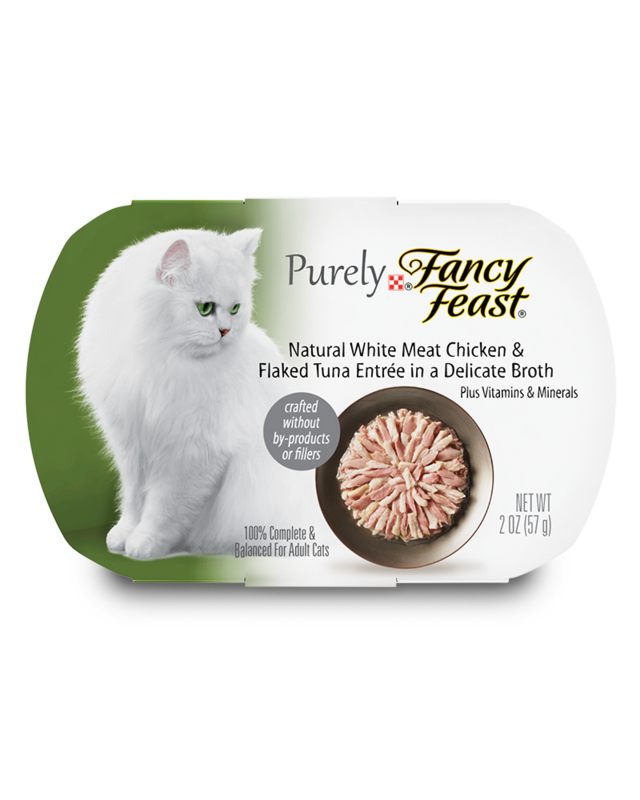 A purely delightful pairing of natural white meat chicken and tender tuna, served in a delicate broth. Complete and balanced with vitamins and minerals for adult cats. Never any by-products or fillers. Purely delicious cuts of natural white meat chicken, served in a delicate broth. Complete and balanced with vitamins and minerals for adult cats. Never any by-products or fillers. Purely tender bites of natural Salmon & Chicken, served in a delicate broth. Complete and balanced with vitamins and minerals. Never any by-products or fillers.